Who can moderate post comments in WordPress? There are: post author, editors, administrators, that is all users who can edit post for which the comment is sent. Let’s suppose you don’t wish that your authors and editors have ability to moderate comments. How to achieve that? If you look at WordPress capabilities list you find fast the ‘moderate_comments’ capability. So quick decision is to turn off ‘moderate_comments’ capability for the ‘Author’ and ‘Editor’ roles. 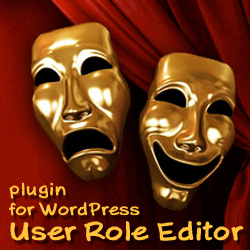 It’s simple task with the help of User Role Editor WordPress plugin. But you will discover soon that it’s not enough. Why? Thus, WordPress main rool for comments moderation is “if you can edit this post, you can edit, approve, unapprove, trash, that is moderate its comments. What to do if you wish to go another way in this field? If you wish to permit comments moderation to user with ‘moderate_comments’ capability only? It’s not so easy. We have a quick decision – just edit line 11 at ‘edit-comments.php’ and change ‘edit_posts’ to ‘moderate_comments’. But this is not good decision as this change will be lost after every WordPress update and should be restored manually in that case. and you will get the picture above for your edit-comments.php page. I didn’t find legal way to block these commands without editing core WordPress files. These commands are executed in edit-comments.php before any WordPress hook is used. I tried to use ‘parse_query’ filter, but without success, it is not called for edit-comments.php that way it works for posts edit.php. If you know/find/discover way to block comment moderation commands, please share your knowledge with us. Thanks in advance. This entry was posted on Thursday, August 4th, 2011 at 10:55	and is filed under WordPress, WordPress Capabilities. You can follow any responses to this entry through the RSS 2.0 feed. You can skip to the end and leave a response. Pinging is currently not allowed.